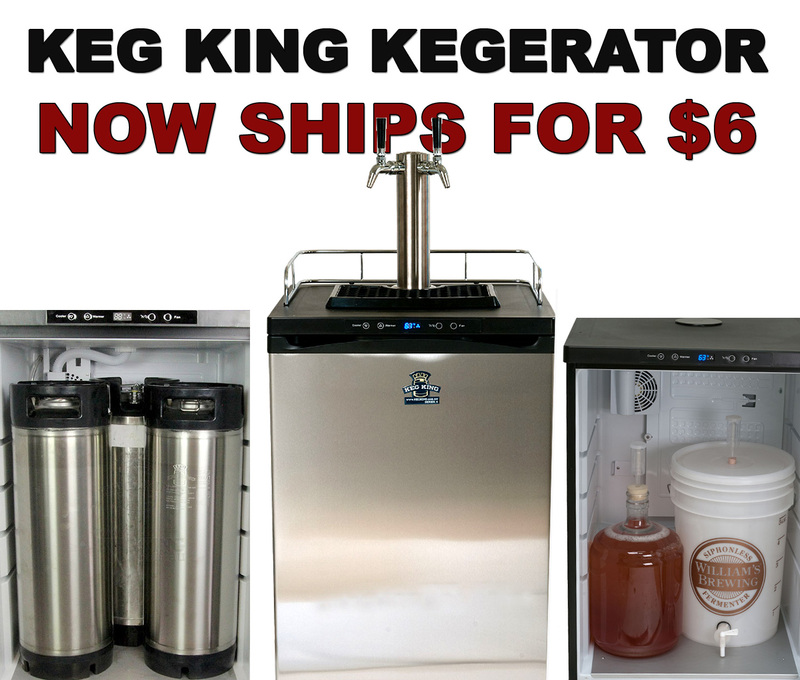 Promo Code Description: The Keg King Mark 4 is the first Kegerator designed specifically for homebrewers! The Keg King Series 4 Kegerators are the only kegerators designed specifically for home brewing applications and that is what makes them them so great! They feature Intertap solid stainless forward seal faucets and even a tower cooling fan. They also have a front panel on and off switch, an interior glass holder to keep your glasses clean and cold! The kegerator comes built in with a wide range thermostat adjustable from 26° to 82° F. With all of these features you would think it would cost a small fortune, but they are surprisingly affordable, especially when considering that they come with Intertap forward seal faucets standard that are mounted on a brushed 304 stainless tower. Best of all, these Kegerators Ships for only $6.99 and can hold up to 3 kegs!